Do you think creating a user engaging content is a tough work? Then you are at the right place to know the secrets to keep the users engaged with your content. A recent research showed that the content marketing was 300% in 2016 but the user’s engagement was only 5%. Shocking information shared by them is that the people spent only 40sec in a page. You could be wondered about these statistics. Do you know, what is the reason? There are numerous reasons such as creating enormous amount of content each day, no clear content, irrelevant images and more. Instead of giving such contents and increasing your bounce rate, it is better to think smart and create user engaging content. When you follow the above things, that would help you to create better engaging content for users and decrease your bounce rate by 75%. It is not about creating 2000 words of content; it is all about creating a valuable content to the users. Usually, while writing articles most of the people focuses on content and not thinking in user’s point of view. This is the major mistake that every content writer do. 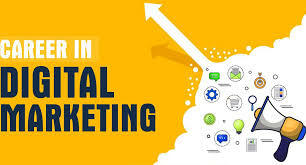 For Example, if you are running a Digital marketingcompany, you may write your blog everyday on recent Google updates, technology development and more. But imagine what would be the case if a user enter into your website and leave without reading? Did you come across such situation and wondering why people visit and leave? This is because they feel bored while learning content alone or the readability level may be less and many factors. The reason maybe anything but this may affect your Sales or Service aswell. But, when you read your own customer queries or search for recent trending customer queries online and then writing an article for trending Topic. How it would be? Just understand the difference. Writing article for a need is better than writing article for a valuable customer. Why it is important to research? When you research you will get to know lots of things and most importantly the user’s need for recent time. This would bring users to your page. Customer engaging may be a challenging one. Wondering, how to engage your customers? Most of writer thinks about word count. Simply writing more contents will never make your visitors engage. Your Content must contain some visual arts. For Example: If you are writing an Article for Recent Google AdWords Update, then along with your content, there must be a some attractive images which say about your topic. When user reads your content, these visual arts in between helps engage them with your content. Adding Some Real time Visual things will attract viewers and helps them understand easy and better. Hence, it is important to add some real visual images or created images in between your contents. Another way of attracting your customers can be adding videos related to your topic in between. When there is video embedded in between your contents, users click to view the video, which makes them interesting. For Example, if you are writing an article for new Google Algorithm Update, you can present your content in short as a video and embed them in between. It doesn’t stop with these both, you can also add gif’s, Infographics, banner containing some useful tips, short videos, attractive Call to Action. All these are few tips that you can try while writing. These would make your users attractive and engage with your content. Your content may be long, you may use any topics, But if your content is ready with some visual things, sure people likes to view your content and makes them more energetic to view throughout the contents. Adding some videos helps your users engage. A Popular Quote: “Don’t judge a Book by its Cover”. Well, this piece of quote applies to many things. You shouldn’t assume that users visit your website will read anything that appears along their way. The truth is: your blog page is mainly judged by its look. Hence, it’s important to have a neat post style. If your blog page looks organized, sure readers will stay longer. And the longer visitors stay on your blog page, the more content they will ingest. By styling one or more of these elements will make your reader’s interesting and more likely to stick around your content. Your content should be short, crisp and easy to read. Never use more complicated words while writing blog. Use simple English words which help users to read easily in a flow. It should be easily readable content. Many users visit blogs only read articles for a few seconds, when you content reading is a blocks of text. This surely discourages them. In Today Market, digital readers want their information in short and simple. You can try Plugins to check your readability score or can try some online tools to check your score. Try using https://readable.io/ to check your readability. There are many free online tools available, you can search and use one that is best for you. Text Formatting also an important thing while writing content. This helps skimmers to quickly get the gist of your article and increase the amount of content they consume. Finally, use a proper content structure, heading tags, text formatting, images, and videos to make your blog a nice look for viewers and reduce your bounce rate. I hope this Easy Tips to Keep Your Reading Users Engaged would be useful.